Global preservation or damaged education? On the 15th of March, over a million school students in 125 countries went on strike, abandoning their classrooms and taking to the streets as part of a climate change campaign. 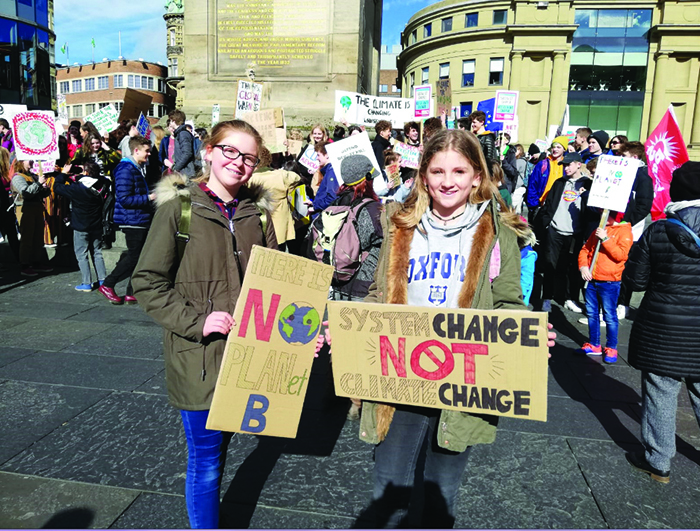 They demanded that the Government should declare a ‘climate emergency’ and inform the public of the seriousness of the situation, including reforming the curriculum to teach about ‘the ecological crisis’. It began with 15 year old Greta Thunberg, a Swedish girl who works to stop global warming and climate change, even giving a speech at the World Economic Forum in Davos. Since August 2018, she’s been organising school strikes outside the Swedish parliament building to demand that they reduce the country’s carbon emissions. However, many people are questioning: is this right? Should all these students be missing out on their education? 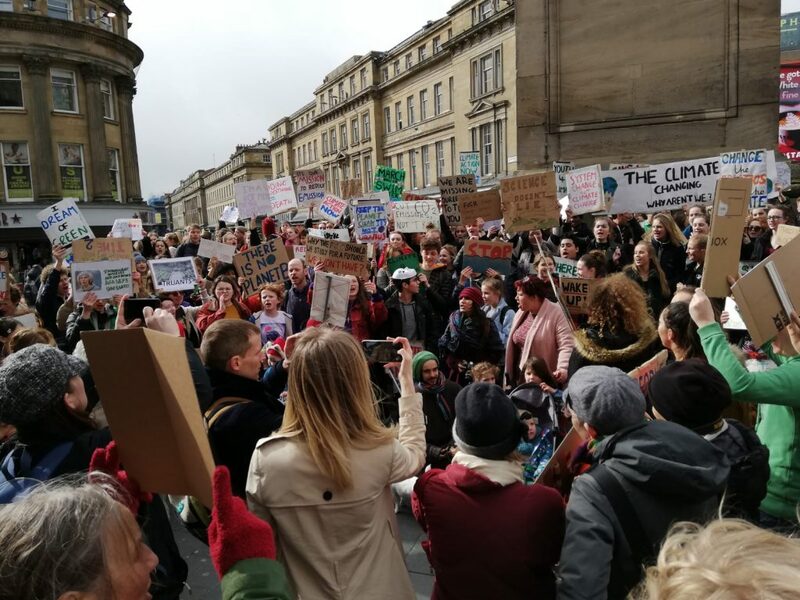 Ava and I went to the Newcastle strike where several hundred kids and teens had gathered at Grey’s Monument with signs and slogans, chanting: “No more coal, no more oil. Keep the carbon in the soil.” and “Whose planet? Our planet”, along with many others. Ava and I joined the strike because we believe that the Government aren’t doing enough to prevent climate change, and went down to try and convince people to take action, even if it meant missing school. Talking to some of the young people there, it was clear what they believed. Some people have been saying that, no, these strikes are wrong. “Nothing is more important than a child’s education” insists the National Association of Head Teachers. A lot of people also believe that the teens are only doing it to get time off school, therefore damaging their learning. She and all of us other young people that attended the protests were looking to make a difference to their future, to try and prevent the problem that will affect them most of all. At Artograffi, we think it’s amazing that young people are taking a stand for what they believe in, even if it does mean that they’re missing school – after all, that’s partly what gave it such a big impact. With the issue of climate change becoming more and more of a concern, it’s really important that teens are trying to raise awareness and show that they do care about this very serious problem.